SoftFile provides an easy-to-use, central access point for your important Real Estate, Mortgage & Title documents. Whether you work as a real estate broker, loan officer or a title agent, our enterprise content management solutions can be configured to perfectly fit your organization. From selling property, to residential loans to commercial mortgages, document management solutions have become a major factor in growing businesses just like yours. The amount of pages generated with each transaction can number in the hundreds and an increase in customer base can mean a decrease in storage space. While many computer programs have been designed to assist with the loan process, the traditional methods of keeping track of all the printed, signed documents can be a real challenge. 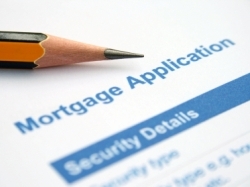 SoftFile has scanned more than 10 million pages of mortgage and real estate documents.